The 53RD Annual Grammy Awards aired on Sunday night. Eminem was the most-nominated artist of the night with 10 total nominations. His nominations ranged from Best Song and Record of the Year, Album of the Year, and Best Rap Album of the Year. 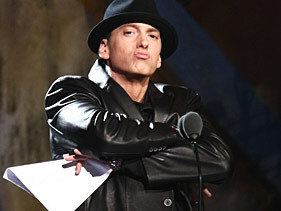 Eminem won Best Rap Album for his much talked about release, Recovery. Jay-Z received the award for Best Rap Song for “Empire State of Mind”. Bruno Mars was nominated for 7 Grammys including Best Male Pop Performance, in which he won the award Sunday night. The surprise of the night was Esperanza Spalding’s win for Best New Artist. The most talked about contenders for the award were Justin Bieber and Drake. The Album of the Year was Arcade Fire’s The Suburbs. Arcade Fire was up against Eminem’s Recovery, Lady Gaga, Lady Antebellum, and Katy Perry. Jay-Z and Alicia Keys received Best Record of the Year for “Empire State of Mind”. Lady Antebellum’s “Need You Now” received the award for Song of the Year, which also won Album of the Year and Best Country Song. The Best Female Vocal Performance Grammy Award was given to Lady Gaga for her single “Bad Romance”. Lady Gaga also received the Grammy for Best Pop Vocal Album for her album The Fame Monster. Fantasia received Best Female R&B Vocal Performance for her single “Bittersweet”. Usher’s “There Goes My Baby” received the Grammy Award for Best Male R&B Vocal Performance. The Best R&B Album was awarded to John Legend for his album Wake Up! Best Rock Performance by a Duo or a Group With Vocals was awarded to The Black Keys for their single “Tighten Up”. Best Rock Album was The Resistance, by Muse. The Best Alternative Music Album was awarded to The Black Keys for their album Brothers.